The invaluable resource IMDB.com has steadily been expanding its coverage to include old video games with voiceover parts. Their latest upgrade includes Wing Commander 1 and 2. They don't have too much in the way of credits, but Chris Roberts is noted as the director. The best way to see all the WC entries is to look up his bio here. You can also find Strike Commander, Privateer and the newer products. Conspicuously absent are Prophecy and Privateer 2. "The Ubiquitous Pilot" gets a nod in this one. Starlancer is compared to a classic ideological crusade. There's also a mention of Origin's definition of the space sim and Digital Anvil's involvement in the WC Movie. Warthog doesn't get a mention unfortunately. The author think they slipped "a little" WCM footage in as a joke, although it should be fairly obvious to anyone who played SL and saw the Movie that it goes beyond that. Overall he gave it a B+. You can find the Game Revolution review here. Tony Knox reports. An infestation of Bexian MegaLocusts has occurred on Hermes. Pesticide experts have been called in to battle the menace, but a great deal of damage to crops has already been caused, and food prices have risen considerably. Over at the Official Peter Telep Site there's been a flurry of news on Telep's numerous in-production works. At the end of the most recent update there's an explanation on the status of Pilgrim Truth. It explains the editorial changes that have caused Telep to look for a new publisher. You can find out more here (also check out info on the latest Peter Telep contest). Comcoqrok had this to say about the formation of a WC 3D modeling group. Sounds reasonable. With the success so far of Fleet Action, my faith in such projects has only been reaffirmed. So good luck. Agricultural commentator Tony Knox writes. Hermes authorities yesterday issued an all-systems alert, after official figures confirmed a near-total failure of the Grain harvest. Grain prices are astronomical, and it is hoped that this will provide enough incentive to attract Grain dealers to the planet. 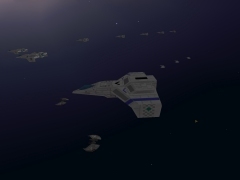 The Fleet Action Homeworld fan project is making great progress. If you've got Homeworld or are into RTS type games, this one's definitely worth a closer look. The Thunderbolt has just been released for the game and it looks really sharp. Wow, Perry. Further information on the project can be obtained from the mod team web site here. Thanks to Eric "Striker" Cook. Today is Chris Roberts' thirty-second birthday. Wing Commander's creator was born on May 27, 1968 in Redwood City, California. To get off the subject a bit, we don't know the date that Wing Commander 1 was released in 1990, so if nobody can find an exact day, maybe May 27 would be a good symbolic birthday for WC. The series turns ten years old this year. Anyhow, Happy Birthday Mr. Roberts! Industry reporter Tony Knox reports. Contractors on Hermes were engaged in a bidding war yesterday, following the revelation of extensive housing plans by the Government. Whatever the outcome, there is bound to be a great demand for all forms of building materials, and prices are expected to be commensurably high. The Wing Commander Engine Source Code Release Project continues it's quest for the Wing Commander source. This project, the goal of which is to secure the source for a Wing Commander game engine, is entering the next stage of activity - writing the letter that will ultimatly be sent to Origin/EA. The WCESCRP team is currently working hard on a draft letter, which we expect to be made public on Wednesday. As usualy, the best way to support the WCESCRP is by signing the petition for the release of the source code. We could also use any contacts at Origin/EA that fan may be aware of. We are dedicated to securing the release of the source for fan modification, and thank all those who have signed the petition. Those of you who wish to sign the petition or participate in our discussion and letter drafting process may visit the WCESCRP website at www.wcescrp.cjb.net or e-mail Jumper at Jumper@wcescrp.cjb.net. Sports correspondent Les Dylan reports. It's been three days of sporting excellence here at the annual Tri-D Pool Masters contest. Several competitors have made their mark in the Anti-Grav arena, most notably Flint 'The Muscler' Ferguson's incredible 18 ball clear-up from the break in the first frame of the tournament. Ferguson continued his winning streak right up to the final, when his luck ran out in the 9-frame showdown against 'Smooth' Jack Jimson. Ferguson started well, establishing a 3-frame lead, but Jimson gritted his jaw and kept his nerve to steer the next five frames his way. He collected a cheque for 150,000 credits, and from the cheers of the crowd it was clear the favorite had won. The creator of WCI asked us to pass on a little note. It looks to me that the site has really taken off, but he wanted to ask that people not reply to their own stories. I didn't see too much of that at quick glance, but it would seem to be a good idea to spend a bit more time on each individual page of the story instead of filling out multiple choices. Otherwise, keep up the good work and have fun. Gamespy's review today includes a recipe to cook up Starlancer. Two cups Wing Commander.. and three quarts Allegiance? For those American-impared readers out there two cups is half a quart. I would say SL has much more resemblance to something like Privateer 2 than Allegiance. And "more exciting than an episode of Seinfeld?" This one's just kinda weird. You can find it here to see for yourself. Tony Knox writes. A suspected terrorist attack has wreaked havoc on the planet of Hermes, destroying a major dam. Trouble started yesterday, when a large explosion occurred within the dam's infrastructure, greatly weakening its integrity. Staff were quickly evacuated, and a few minutes later the whole structure collapsed. A large-scale clean-up operation is in progress, and traders are being asked to assist by shipping water off planet: especially low prices are being posted as an incentive. Jack Hogan has begun a "Choose Your Own Adventure" project for Wing Commander. It's a neat concept that I'm surprised hasn't been around more. Just the very beginnings of the story are set, and visitors to the site build it as they go along. It just needs a lot of content and effort put into it now, which the readers provide. I'll be interested to see how it fills out. You can find WCI here. Are We In A Resurgence? pc.ign.com's take on SL is from the point of view that we are in the middle of a resurgence in the space sim genre. Too little too late for us at the moment perhaps, but it does seem like there's been a notable space sim coming out every month or two for quite a while now. Anyhow, they give the game a 9.2 and have a whole ton of archived pictures and other media. There's also a very simple opinion poll on the page. More reviews should have that. You can find this one here. There's no thrill quite like this.. chasing down an enemy ship and blowing the ever loving crap out of him. Tony Knox is on the spot. Heavy rain storms have persisted on Hermes for several weeks, resulting in large parts of the planet's surface being flooded. The excess water is slowly being purified and stored, and any trader wishing to export will find prices to be low. Thanks to Black Knight for the heads up. Incite's Starlancer review includes some Wing Commander references that are worth mentioning. In my formative years, no game captivated me like Origin's Wing Commander. For all its bells and whistles, StarLancer is a very simple game. Kill bad guys, help the cause, advance in rank, and get cool cut-scenes and accolades. Rinse and repeat. And StarLancer executes this paradigm extremely well, making it the best true space combat game since Wing Commander. I don't fully agree with that last bit. The article talks as much about Wing Commander and Chris Roberts as Starlancer. Check it out here. Tony Knox comments. Hermes authorities were counting the cost of a three-day storm last night. The tempest, which featured 75-mile an hour winds, tornadoes and heavy rain and hail, occurred just as the harvest was about to be gathered in. Huge losses of all foodstuffs have been reported, and a emergency fund has been provided as an incentive for merchants to import new supplies. We've been receiving a steady stream of fan art over the past few weeks by talented fans. Our latest update today includes four pieces by Snake and one from Brian Fasano. Lots of beautiful scenes involving Hellcats. For other works by them and other artists, check out our fan art section here. Avault's on a roll. Two non-Starlancer space sim reviews with Wing Commander memories embedded within. Reviewers sure like to talk about old times in reviews nowdays. I've noticed that in more than just space sim articles. This one goes back to historic moments in the past that people will never forget. Playing Elite and Privateer back in the old days are the primary point. You can find more here. Several hundred people have been caught in the ether recently while trying to access the Wing Commander Development Center. Maverick let us know that the site is currently now set up at its new home at wc.telefragged.com. Thomas Bruckner and Popsicle Pete's Wing Commander sites are also in transit at the moment. May 18 is the twenty year anniversary of the eruption of Mt. St. Helens in Washington, after which the St. Helens of Wing Commander 4 was named. It's also Kris' nineteenth birthday and the fifth anniversary of the earliest recorded legitimate alt.games.wing-commander post. Happy birthday all around. We don't have an SL reference handy today, but Avault has a review of X: Beyond the Frontier posted. In the facts area they officially class it as very similar to Privateer 2 and make references to the variety of ships available to the player in Privateer 1 later in the article. XBTF makes you stick with the same shuttle throughout the game. You can find the review here. Financial commentator Tony Knox reports. The opening of a new multi-purpose manufacturing plant has made Hermes into a hive of activity. Hundreds of immigrants are arriving daily, looking for work, closely followed by huge numbers of merchants, looking to find favourable prices for raw materials. Ore stocks have been reported as being low. As we predicted a while back, Prophecy Golds got rather scarce after they went out of production. Original Prophecy games are much more common, but Gold is generally a better buy. This has pushed the going rate for used Golds up above the original retail price. Fortunately it appears that the professional used game retailer Funcoland has some in stock. They sell them in "new" condition for $40. That's kind of a rip off since they retailed around $40, but that might be a better deal considering their relative rarity. You can find the Gold page here. We've compiled a few old Starlancer previews that discuss various Wing Commander topics, but don't warrant full updates. Spank! 's is here. There's a bit of an emphasis on Warthog. The previewer hasn't had much WC experience. One of CGO's many previews that we happened to overlook talks about Origin a bit. Aside from that there's just a little bit on Wing Commander fans. You can find it here. And our last one for today is from Gamestats. It begins with some introduction to "The Roberts Brothers" and then goes into OSI. The whole first page is about corporate background instead of the actual game. Then it jumps into more mundane facts. You can find the preview here. Ballistics expert Professor Anna Wrack reveals all. My colleagues and I are pleased to announce the fruition of our latest project, the creation of a ballistic ship-mounted weapon. Known as the Mass Ion cannon, it functions round the principle of projecting positively-charged microparticles of depleted Plutonium at high velocities. It's effect on shields and armour is comparable to an average Medium Laser; however, it ahs a marked advantage over all beam weapons in that heat build-up, the Laser's greatest curse, is completley absent. This permits an extremely rapid rate of fire to be maintained for long periods of time, allowing a skilled pilot to destroy enemies very swiftly. Saffron Burrows, who is better known (to WC fans anyway) as Angel from the WC movie, features in a newly released movie called Time Code. The unusual thing about the movie, is that throughout the movie, the screen is split in to four quadrants, each with different things happening. Could this be the start of a major new technique in Hollywood? Maybe, as people over at IMDB rate the film quite highly. Chris just rates it as "whacko". For those who have ever played and enjoyed space shooter-type games, be it any of the Wing Commander or the excellent Freespace games or more recent titles like X -- Beyond the Frontier or Tachyon, StarLancer should be riding high on your list of games to buy right now. Zany news from Norry Lekter. How do YOU pick your Lottery numbers? Perhaps you just make them up? Or maybe you run a randomising program through your P.A.D.? Whatever you do, it's unlikely to be as bizarre as recent Luvverly Lucre Lottery winner Professor Georgh Divver: to select HIS winning numbers, he analysed his bodily excrescence. Let the man himself tell you: 'I was in something of a quandary as to how to fill out my lottery card, until I struck onthe idea of using random atomic numbers. I analysed a portion of my faeces under a spectroscope, and wrote down the numbers of the first twenty isotopes I located.' Messy, true, and worth a cool 15 million credits. We've Never Fought Russians in Space? Gamespot gave SL a 7.7 out of 10 rating. Although there are a few Chris Roberts comments that are a stretch here, the review seems to rightfully focus on Warthog and Privateer 2 more than average. They hit on the radar point too, which is one of my concerns. It's also obvious the article was written by someone rather familiar with WC (turns out to be Desslock), as they make references to George Oldziey and such. There are a number of particularly memorable characters, including a Red Baron-esque German ace and a traitorous fellow pilot - of course, you couldn't possibly have a game produced by the creator of the Wing Commander series without a traitor subplot. Story by Derich Glenfires. Opi-Ola, 'The religion of the masses', yesterday unveiled their new summer brand line-up. Five new flavours of the galay's favourite soft drink are being released; Kumquat, Marjoram, Rhubarb, Aloe and Sickly are all set to propel this blue-chip company to even greater heights. Also on show was the company's much-vaunted alcoholic custard. Marketed under the name 'Yellow Peril', it's considered to be something of an experiment, though failure in this venture is hardly likely to trouble the beverage giant's bosses. In Origin's latest wacky twist, UO2 has been renamed to "Ultima Worlds Online: Origin." Weird? Yes, it is. Below is a bit of explanation from its website. Note that not six weeks previous to this it was found out Origin was only making Ultima Online games, and this could stand the be the first change in that plan. Although keep in mind at the moment all indications seem to say that the actual game is relatively unchanged. Last week, it was announced that Ultima Online 2 was a working title, and that we felt our game would be better represented with a different name. After much discussion and furrowing of brows, we have come to a decision and are happy to share with you the news that Ultima Online 2 will now be known as Ultima Worlds Online: Origin. What's that you say? Isn't Origin the name of the company? Yes it is. Won't that be confusing? We don't think so. By the time this game ships, we won't be putting the Origin (the company) logo on the box. This will be our first game going out under the new EA Games logo. We expect this to be a game with a lifecycle spanning for many, many years, so the Origin name can live on. There's more at the tentative website. You can also download a preview trailer here. GamesDomain's SL review begins with a bit of genre history that focuses on Wing Commander. The review talks about different camps that celebrate the franchise and includes himself with the positive group. Other games are italicized and bolded in the article, and a quick skim will reveal "WC" and "Priv" throughout. They also have a screenshot of Starlancer's "Behemoth" and note various phallic symbols presented along with it. You can find the review here. Things have been a little rough these past few weeks with everything going on in real life, but don't forget Trivia was still released for this week. Questions can be found here. I'll be updating the various Question Archive and Scoreboard things soon. Be sure to get your Week 75 answers in by tomorrow. Crime reporter Tony Knox from the scene on HermesMonths of covert planning came to fruition today, when CIS agents stormed a suspected Kindred stronghouse this morning. Large quantities of firearms and explosives were discovered, and several men were arrested. It is clear, however, that many Kindred members made their escape, and patrols are being posted to intercept incoming supplies of weapons. We learned so much while we were making Wing Commander III, even while we were having this telephone conversation, new technologies, new breakthroughs are happening. So that it's almost impossible to keep up with the pace of how this thing is growing. So, it's fascinating to me, really fascinating. You can read the lengthy interview or listen to it in RealAudio. 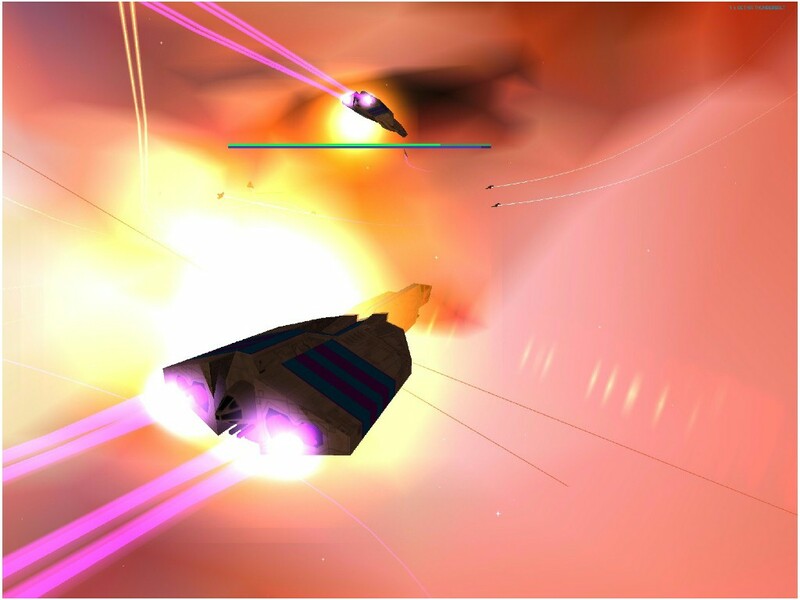 The space shooter genre started on the PC a mere 10 years ago with Wing Commander. Today's space shooters remain remarkably similar to Wing Commander in many respects. But if you've been a gamer for long, the one thing we all yearn for is originality. Who is the new king of the space shooters? After some serious scrutiny in simulated space, I think I found out. 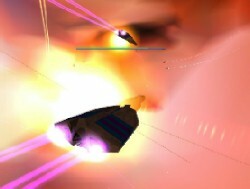 Tachyon won the fight, but having played both I can safely say Wing Commander still dominates the scene. Thanks to WildFire-. Gwyn Cannar reports. Law enforcement agencies are expressing concern at the commercial release of a totally new type of weapon. Known as the BSE (Binary Systen Eradicator), it is a high-level computer virus that can disable all a craft's systems within seconds. It is transmitted along with the attacking ship's ID to the victim, and once assimilated into the target's computer it goes haywire, instituting emergency shutdown procedures for all the ship's systems. Police worry that this will be the perfect weapon for pirates to trap wary merchants. No, it's probably not what you think. ATFW is running a new poll. They ask what your first space-sim experience was, and Wing Commander is one of the choices. So go vote! Starlancer comes from the creators of the Wing Commander series, specifically the British team that developed Privateer 2: The Darkening (another forgettable game). The ships move with the same liquid slowness that we've seen in almost all the Wing Commander games. It's as if they're nosing though a syrupy ether rather than hurtling though a vacuum. StarLancer uses one of the oddest and most counterintuitive flight models I have ever seen: the faster you fly, the faster you turn. Ehh... the reviewer has some very good points, but the 5/10 score is a little harsh. You can read the review here. Week 75 trivia questions are in. Q149: What was something notable about the Omega ship? Q150: What was something notable about the Vatari craft? B75: What was something notable about the Gladius? E-mail your answers to ChrisReid before Sunday, May 14. If you haven't played trivia before, it's never too late to join in. Visit the trivia section for more information. There seems to be a definite lack of build-up in Starlancer, which is not a big surprise considering the small number of missions in the campaign. Although the plot works in a general sense, you cannot help but wonder how much better and more intense the game could have been with more thought put into the story and with the inclusion of a greater number of missions. We also wish ATFW a belated happy second anniversary. They're the best source for all space-sim related news. Tony Knox comments. While the inhabitants of Hermes have been rejoicing for the past few weeks at the huge amount of sunshine they have been receiving, it has caused several problems. Most importantly, water reserves have been hit hard by the increased use of swimming pools, irrigation and external hydroponics, and supplies are getting low. Local water authorities are offering excellent prices to any trader willing to import new stocks. Some of you even liked him because he pissed you off with his comments. Yet no one could deny that Maniac has to take top honor as one of the best companions in computer-gaming history. You can read more readers' opinions here. And that's a good thing. BarrysWorld has reviewed Starlancer, so it's stupid quote time! Frankly I'm glad that it is nothing to do with WC, in this game there's no Kilrathi or any other sort of alien spacecat menace. I lost interest in the later versions of WC I have to admit, you can only be SO menaced by cats can't you. I always had visions of the Kilrathi home world having cat flaps instead of doors and Kilrathi lawyers, shopkeepers and businessmen coughing up huge furballs and knocking back cans of Meowmix in a restaurant whilst singing "I like fish and I like liver, I like chicken in my dinner". Not very terrifying really. At least they credit Warthog... Go ahead and take a look the review if you still think it's worth your time after reading the above quote. A report by Tony Knox. There is widespread public concern on Hermes that global warming is responsible for unprecedented flooding. Scientists are split on the issue, although statistics suggest that substantial ice-cap melting has taken place. Fresh Water is freely available for export, though, and prices are low. Earth-Net One's first birthday contest is turning into a massive give-away. As reported earlier, the lucky winner of the graphical art competition will receive no less than twelve novels (including the Wing Commander Movie novelization, junior novelization and Pilgrim Stars). As a bonus, another prize has just been added: a t-shirt signed by Peter Telep. For more information on the prizes and rules, visit the contest page. I suppose If you had to level one criticism at Starlancer, it would be that it's a pretty linear kind of experience, (although the storyline does branch in several places depending on your performance) but that's would be a pretty harsh judgement since linear progression has always been the nature of the space combat beast. And anyone who's familiar with the Wing Commander series knows that isn't true. Agricultural expert Tony Knox reports. The inhabitants of Hermes are in truly dire straights, following a total collapse of the eco-system. As environmentalists seek to remedy the system, authorities have issued pleas for traders to import more supplies. Excellent prices are being offered as an incentive. Voidsurfer has written in to inform us that the first ship, a Dralthi IV which replaces the Interceptor in Homeworld, has been converted and is ready for download. The download and usage instructions can be found on the mod's webpage. Another group WAS going to take over (don't know what happened there) anyway rather than let what we have go to waste I'm asking for help with a new, less ambitious plot. We have a bengal class capship, a new bridge, splash, access to kilrathi comms, ships etc. 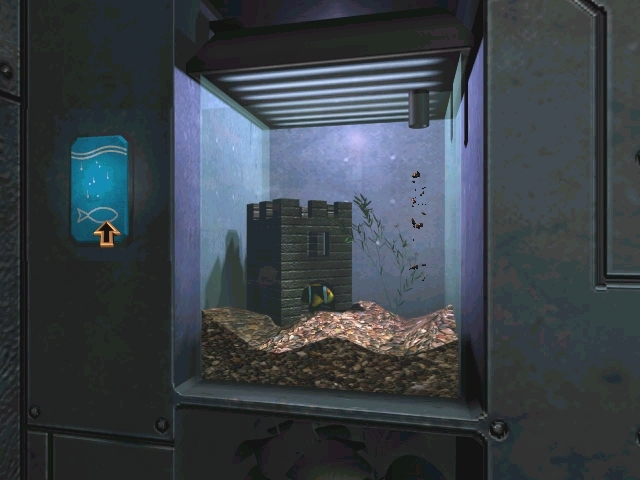 What I need is someone to write a Secret Ops add-on using these things which should be of no more than around 8 missions, so really just a mini game. Additional details on request. Try not to include anything too fancy so it can be completed in a short time. To save time and limit the help required, text, not voice overs will be used and fiction can be included at the writers discression. Don't forget to include ideas for a neat intro etc. Also if its any use a completed scene for UE was the Intrepid being destroyed by the bugs. Any offers e-mail me at pedro_ue@yahoo.co.uk This is really so as to ensure some of what has been done gets put to good use. If you would like to see what has already been done for UE, you can find a 25 meg preview which contains an intro and the first mission here. Impressionable groupie Andrew Bramley-Hill writes. It was the best of days and the worst of days on Crius yesterday, host to the All-System Dribbling Competition. Zak Skintight, legendary frontman of Rock superbeings The Buttock Men, regained the Spittle Crown after a three year absense due to touring and unconsciousness. Unfortunately, so many competitors entered that a huge 'pool of drool' has resulted, emitting a noisome stench. Once it has been processed there will be a considerable surplus of Fresh Water, although it will be recommended for agricultural use only. 'It's a bit of a larf, innit', said Zak when we asked him for comment. As you probably guessed, I was being sarcastic there. It seems that Electronic Arts is really starting to enjoy screwing over its subsidiaries. Some of the most promising and interesting features of Ultima Online 2 have been dropped from the initial release. Furthermore, the company is going to create a new brand name called 'EA Games' from its subsidiaries. Big and popular industry names like Westwood, Maxis, Origin... would all disappear from the scene. You can read more about this in the latest Desslock's Ramblings. The gameplay is nothing we haven't seen before as Starlancer plays almost identically to previous Wing Commander games. But why mess with a winning formula? There's no Maniac, Stiletto, or Blair here. Everyone's a talking head with little to no characterization, so there's no reason to care about the progression of the story. Starlancer might as well be titled Wing Commander 6, with the Kilrathi replaced by the Coalition. Tony Knox comments. Due to mine closures, Platinum supplies on Hermes have dwindled greatly. Traders are being offered high prices for the metal, which has countless applications in the fields of electronics, computers and numismatics. It's double trivia! Because Chris has been very busy lately, you have till this weekend to submit your answers for weeks 73 and 74 of Trivia. Double weeks are always a great time to start playing if you haven't before. Question 145: What disabled the TCS Concordia's flight deck in 2665? Question 146: What disabled the KIS Karga in 2669? Bonus 73: What disabled the TCS Lexington in 2673? Question 147: What was one notable thing New Detroit was known for? Question 148: What was one notable thing Crius was known for? Bonus 74: What was one notable thing Repleetah was known for? Submit your answers to ChrisReid@wcnews.com. The Wing Commander Engine Source Code Release Project (WCESCRP) is still collecting names for our petition to Origin, in which we will ask them to release the source code for the WC series. In order for Origin to take our petition seriously, we need a lot of names for our e-mail, to show that we have the support of the community. What we need from you is your name (first +last) and e-mail address. The Project has been doing very well lately, gaining almost a hundred signatures in little more than a week. We now have 259 names. But we still need more... a lot more. If you haven't yet sent us your name, then we would really like you to take a few seconds to do so now. Remember, if we get that source code, there isn't much that couldn't be done. There's a lot of talented WC fans out there, and if they could use the source code then... well, the possibilities are quite endless. Send your names either to me (mmajewski@usa.net) or to Jumper (jumper@wcescrp.cjb.net). Alternatively, you can fill out our online form over at wcescrp.cjb.net (where you can also find out more about the Project in general). And be sure to tell others to send their names too. Just another two hundred signatures or so, and we'll be ready to send the petition to Origin! It'd be good if they hit the 500 mark. Signing the petition would take only a few minutes of your time, and there could be a huge return on investment. Are You Weedier Than an Abandoned Hydroponics Unit? Is your physique reminiscent of an Anhurian Spectre Beetle? Or perhaps you're so fat and lardy you've forgotten what your legs do? You'd better shape up, my friend. What's that? The very notion of physical exercise gives you heart palpitations and coughing fits? Hey, that's no problem! With Fortis Warp Steroids, you can just sit there with your VidSet on... and still end up looking like three-times Strongest Man in the System, Curtis Benchley. Using special anaerobic fibre tougheners, Fortis Warp Steroids build your muscles up no matter what you're doing. Buy Fortis and it's Bye Bye Mr. Puny! Only 2,000 creds for a one month course. "He was always making faces when I was trying to do a serious scene," says She's All That's Rachael Leigh Cook, 20. "He's there with his finger in his nose trying to make me laugh." Starlancer feels like a gritty WW II carrier movie, with an atmosphere similar to that of the Wing Commander film. It's fun, but it's not the dramatic experience provided by earlier Roberts games like Wing Commander 3. The game got a well deserved B. You can find the article here. Thanks to Rick Salemi. Is Your Beer Holy Satisfactory? The Avuncular Order of Hom present their latest Blessed Brew. For the edification and salvation of the true believer - Uncle Kashumai's Treacle Breek Special. Made using only the finest ingredients and hops from the sacred pastures of Zo, it is fermented for 30 days, as laid down in the holy scriptures, and thrice blessed by the supervising deacon. Only then is it deamed fit to carry the homilies of Hom to you, our bretheren. The Blessed Brew - Salvation in every sip.